Colombia’s national government has exhausted protection measures for demobilized FARC rebels, the country’s Interior Minister said Tuesday. Hours later, another former guerrilla was shot dead. Before the latest murder, the United Nations had already confirmed 36 murdered FARC members and 13 family members of former guerrillas since the beginning of a peace process in December 2016. The former guerrillas are at the beginning of the first political campaign after a peace deal in 2016, but have become the target of armed actors. The situation is most delicate in the southwestern Nariño province and Antioquia in the northwest, two regions that already have been devastated by decades of armed conflict. A year after signing peace and three months before the elections, the government said it is out of resources to provide protection to the approximately 14,000 demobilized FARC members. “The government has exhausted all efforts to provide them with protection guarantees,” Interior Minister Guillermo Rivera told newspaper El Tiempo. At least 3,000 members of the communist Patriotic Union were assassinated between 1985 and 1995. Far-right paramilitary groups and extremist elements within the state targeted the communist party. Within years of the demobilization of paramilitary umbrella organization AUC in 2006, more than 2,000 demobilized fighters “died.” The mass killing escalated the rearmament of demobilized combatants. The United Nations deployed more than 400 international peace observers to monitor the process that seeks normalization after more than half a century of armed conflict. The process is complicated by violence by the smaller ELN guerrilla group, and dissident groups of former members of the FARC and the AUC paramilitary umbrella organization. 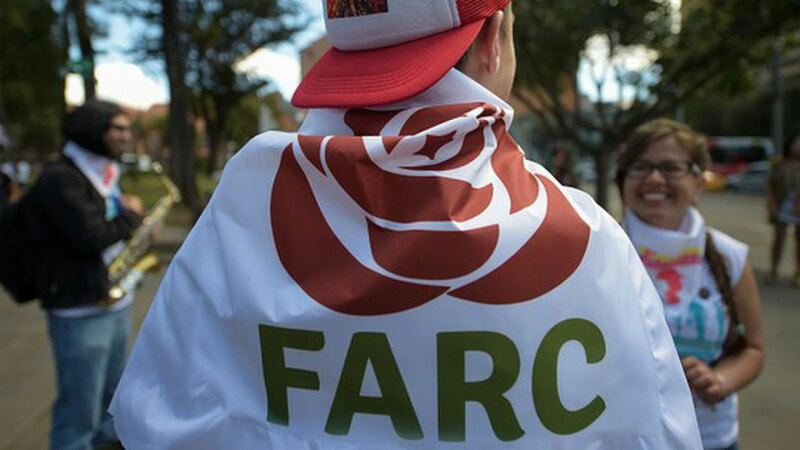 Violence that emerged after the FARC’s demobilization has also targeted community leaders. In some areas illegal armed groups have been fighting over control over Colombia’s largely lawless countryside.